We are every day people from across the country. We each have different and unique lived experiences and entry points to this work, but we share a belief in the power of knowledge and in the potential of each child. 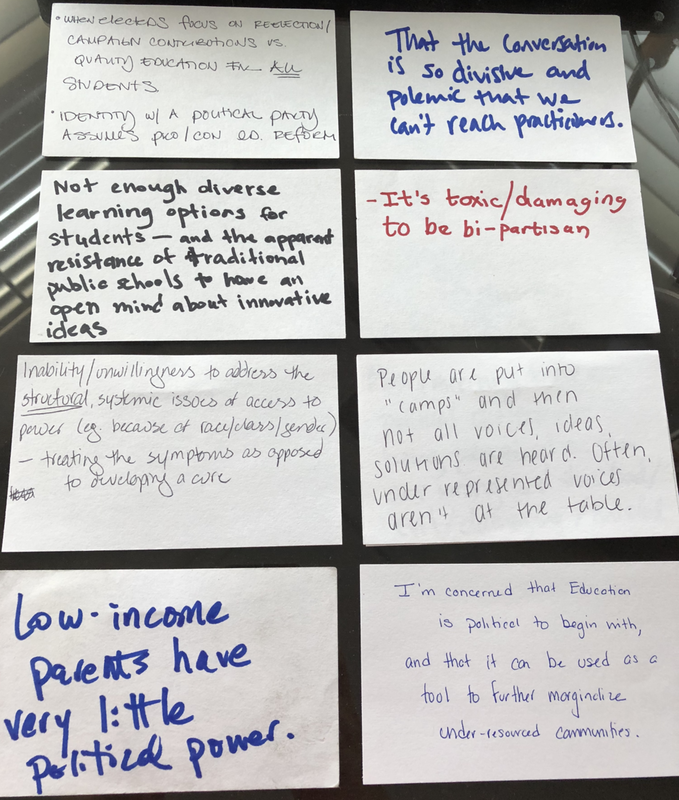 Each of us is bothered by the politics of education and, by joining as Allies, are willing to put our own skin in the game to do something about it. Lea's career has spanned the country, crossing the private, non-profit, and public sectors, starting as a classroom teacher, first in the San Francisco Bay Area as a Teach for America Corps Member, and then in Singapore. After earning her masters degree in public policy, Lea worked first for the Chicago Transit Authority, then for LAZ Parking as part of a public-private-partnership with the city of Chicago. Lea returned to her roots in education to lead state level advocacy for StudentsFirst, a national advocacy organization, in Iowa, Missouri and Nevada on legislation advancing teacher quality and the expansion of high performing charter schools. From there she served Democrats for Education Reform as National Deputy Director and, briefly, as its National Acting Executive Director. Before launching AEE, Lea served as an Obama appointee at the US Department of Education, where she advised on P-12 education policy, with a portfolio that included teacher preparation, charter schools, Promise Neighborhoods, and literacy; she served on both the Discipline and Diversity cross-disciplinary work groups. Lea holds a bachelor’s degree from Claremont McKenna College with a double major in government and history and a Masters degree in Public Policy from the University of Chicago’s Harris School of Public Policy. She serves on the Boards of Trustees for the Center for Supportive Schools and Silver Bay YMCA of the Adirondacks. Lea and her husband live in Washington DC with their two daughters.